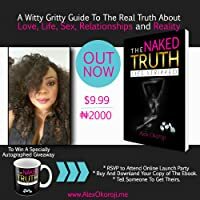 Alex Okoroji is a Multiple Award Winning, Multi-talented Artiste who has successfully reinvented herself at every stage of her career, as a Nigerian Actress, Writer, Television Personality, Talk Radio Host, Speaker, Author, Thought Leader and Global Influencer - who has been featured in over 250 Media Platforms around the world. She is Editor-in-Chief of BRAG! Magazine, Creator of THE NAKED Philosophy™,Founder of THE NAKED MOVEMENT & CEO of The BRAG Media Company. Ranked as one of the 'Top 250 Most Influential Women Leaders' in the world by Richtopia and honored with a Nigerian Goodwill Ambassador Award, a 2017 Peace Achievers Award as a Media Personality of the Year and a WEF Iconic Woman Award at the 2017 Annual Global Women Economic Forum in New Delhi, India. She was listed in as one of 35 Personal 'Brands-To-Watch 2017 ' - (The Global List) and was spotlighted as 2015 'Global Consciousness' Raiser, A 2016 Featured Guardian Woman, An International Ambassador for ‎She Matters Movement in the USA, An International Contributor for THE HUFFINGTON POST, The First "African Woman Living In Africa" to be featured alongside some of the world's most respected and celebrated powerhouse women on WOMEN ROCK PROJECT, Member of the Advisory Executive Council (AEC) for the WOMEN ECONOMIC FORUM (WEF 2017), a Women Mentoring Women's Mentor for Idea Builders Global Initiative and Vice President/Co-Founder of IBMC Global Foundation. 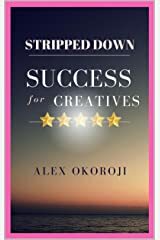 As a Thought Leader - She is known for her practical wisdom, straight talk and ability to connect with any audience. Her fusion of real-life stories, humor and conversational illustration allows her to engage with any audience at an intimate, intense and individual level. ALEX began her professional acting career on Television through the maiden edition of Amstel Malta Box Office in 2005 (AMBO) a TV Reality Show, where she won many admirers and constantly kept many Reality TV lovers, glued to their television screen as she impressed both fans and critics with her performance. With over a decade of acting experience -well-versed in most aspects of performing - on Television, Film, Theatre and Voice Overs. 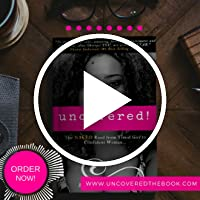 With training which includes two years in community theatre and over 25 Productions to her credit, she has consistently been involved with different television projects, movies, series events and shows. 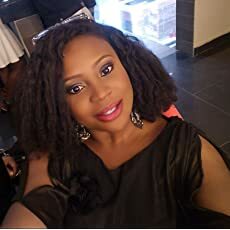 And has featured in movies like CALABAR GIRL, FREEDOM BANK, TRINITY, DESTINY, STATE OF THE HEART, HERO'S BRIDE, WAITING YEARS, THE GUIDE etc where she has played both lead and supporting roles. She has also played some of the best characters in popular Television Soap Operas and Series like HEAVENS GATE, US, WIVES N' CONCUBINES, RUSH, G.R.A WOMEN, TALES OF EVE, SPIDER, on terrestrial television stations and popularly remembered as the entitled 'Betty' in the popular 'Spider' soap opera and the feisty lawyer 'Susan' in MNET'S dazzling multi-cam production TINSEL on DSTV across Africa for three (3) Seasons. 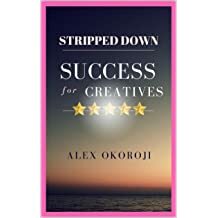 Alex, has recorded several Public Service Announcement (PSA) and jingles for Radio and Television, and has written a number of scripts for TV Commercials, Documentaries, screenplays, songs, editorial, poetry and white papers. 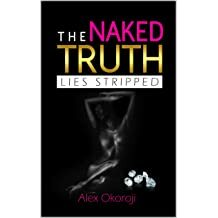 She is the author of books- THE NAKED TRUTH:Lies Stripped...& STRIPPED DOWN SUCCESS For Creatives as well as a global anthology "I BARED MY CHEST; 21 Unstoppable Women Get NAKE ...." a collaborative memoir where she illustrates her own journey to self and how she gained Experience, Wisdom and Confidence the 'Unstoppable' way. 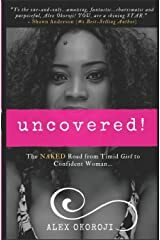 Her third solo book - "REVEAL" will be released in October 2018. See - The Greatest Challenge is discovering who YOU really are. A few days ago, I received an email that put music in my heart. When I first started my career on Television, 13 years ago - featuring on the first edition of the Reality TV show, Amstel Malta Box Office (AMBO) in 2005, having reality TV lovers glued to their screen, people recognising me, having access to society's creme de la creme, and of course endless opportunities to work in films and soap operas with some of Nigeria's best talents I admired. I thought I had arrived. It could only get better. I recently went out with a friend who had invited me for drinks with his other friends. They were all men, Igbo men to be precise. One of the friend had invited a lady over, a lady he referred to as “my wife”. I said hello to her but soon observed a wedding band on her finger. She was married, but not to this man! By the way, it is important that I add that all the men present were married. Yes! Including my friend.